This month we were able, for the first time, to make contact in a native community called Yanesha. The person that I spoke with is a director of the community. We were able to share the gospel with her and encourage her to know more of Jesus. She showed some interest, enough to want us to visit the community again the following week! Before, we were not able to reach this place because we lacked a motorcycle to be able to travel to more remote places that wind through the mountains. 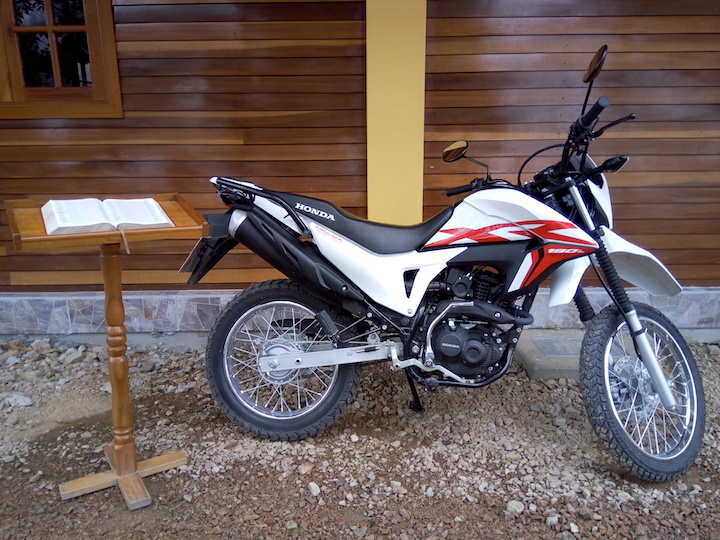 But now, thanks to God’s provision of this motorcycle, we can make it to those places. Please, pray for our next visits to this village. I give my thanks to all those that support HeartCry. God bless you!